For the past month Joe and I have been contemplating, meditating, looking inside, outside, up, down and around to see if we should follow an opportunity to move to Switzerland. There are so many pros and cons it has left my head spinning. So we applied for a work visa and it looks like we will get it. There are a couple of more steps to go before it is finalized but if it does come through we will follow that direction and move about mid October. 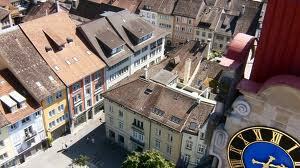 We will live in Winterthur, a small city about a 15 minute train ride from Zurich. We had a chance to see it in July and get to know some of the more creative crannies of it. Unfortunately all of my photos from there got lost so I’ll have to add some later. Our company has an office in one of the industrial buildings that have been transformed from the large industry that used to be there. The area reminds me of the Pearl District in Portland. There is a lot of creative energy with ateliers, a rich music scene, art, and a lot of tech cross fertilization. Joe will be able to be on hand more readily to problem solve and explain the product that we have. He did an awful lot of travel last year. 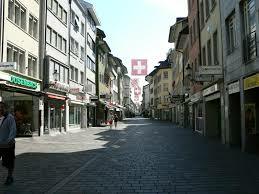 We are currently looking to sell our house and find an apartment in Winterthur. 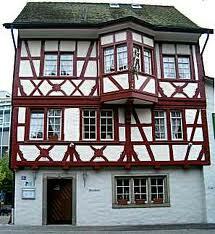 We love the traditional architecture but probably want to live in something more modern. On one of our walks in the old city we found a store that sells specialty food items and a cheese, goat’s blue cheese, that we had been looking for in every place we went for about 10 years since we found it once in Ireland. The move so far has been weeding out our possessions of which we have a 23 year collection. We have found things along the way that we had forgotten about, documentation of things we did, objects long lost or forgotten. I have run across the old issues of the Journal of Process Oriented Psychology. I will put them up here on my site as I transform them into PDF files. People ask how I feel about moving. It is so complex and sometimes overwhelming just dealing with the details of what needs to happen that I sometimes don’t quite know. I’m sad to leave Portland, my friends the school, and my budding presence in the art and healing world. On the other hand, it was difficult to move away from Switzerland and my friends there in 1990 and have somehow felt a base there ever since. But, how do I feel? Sometimes I wonder what I am doing pulling up stakes at my age, I know, ageism, but that’s how it goes. At firs I had health concerns, what if something happens when I’m there? I’m pretty healthy so I think that’s going to be ok. Recently I’ve been involved in several performance and healing events and I am starting to feel a part of a community here in Portland that is experimenting and succeeding in working with people using art. I will be working hard to keep involved in that as it is a particular passion of mine and I have seem some amazing things happen in that world. I feel both a crush of time and a lot of it. It feels like a time to really focus on what I excited about. It’s time to go and clean up one of the two corners that I wanted to finish with today.